With the exhibition Lichtenstein. A Retrospective, the Tate Modern in London currently presents a full-scale retrospective of one of the great American artists of the 20th century. The show brings together 125 of Roy Lichtenstein’s most definitive paintings and sculptures. Lichtenstein is known for his works based on comic strips and advertising imagery. His paintings are colored with his signature hand-painted Benday dots. Lichtenstein. A Retrospective showcases key paintings such as Whaam! (1996), Drowning Girl (1963), and Look Mickey (1961). 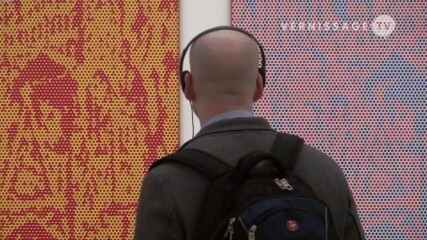 This video takes you on a walk through the exhibition on the occasion of the press preview. Lichtenstein. A Retrospective. Tate Modern, London (UK). Press preview, February 18, 2013.